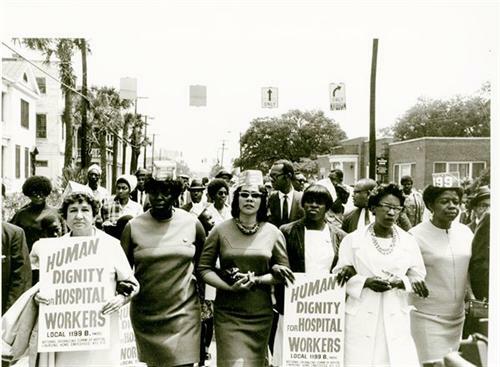 The governor of South Carolina declares a state of emergency in Charleston and orders more than 100,000 state troopers and members of the National Guard to break a strike by predominantly African American Medical University Hospital workers seeking recognition for their union, Local 1199B of the Retail Drug and Hospital Employees. In the end, the employer promised to rehire the striking workers they had fired, abide by a newly established grievance process, and provide modest pay increases. A one-week national strike by the Canadian Union of Postal Workers begins over wage inequality. The Canada Post Office’s new postal mechanization system was staffed with female postal code machine operators paid $2.94/hour compared to male postal clerks making $3.69/hour. In the end, an arbitrator awarded female postal coders the same wages as male postal clerks. 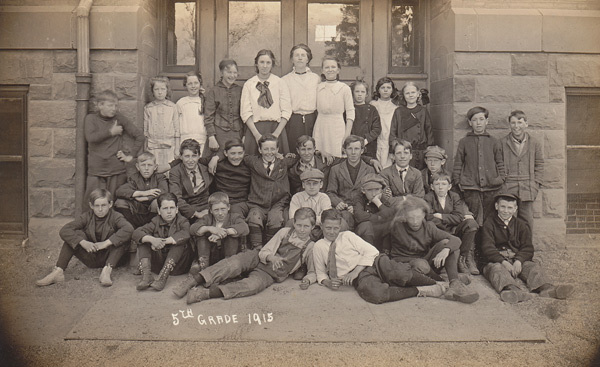 Two days after leaders of the Toronto Typographical Union – whose members are on strike for a nine-hour workday – are arrested for common conspiracy, Canada’s Prime Minister Sir John Macdonald introduces the Trade Union Act to legalize unions in the country. The military arrives to crush a strike by more than 6,000 gold miners – on strike over long hours, appalling working conditions, and starvation wages – along the Lena River in southeast Siberia, Russia. 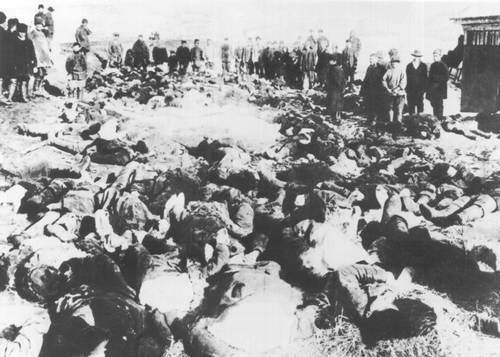 The entire strike committee was quickly arrested and when 2,500 workers marched to demand their release, soldiers opened fire on them, killing and wounding over 500 people. Anger over the mass murder fueled a subsequent wave of strikes across the country. 2,300 tons of ammonium nitrate on board a ship docked in the port of Texas City detonate, setting off a chain reaction of explosions and fires on other ships and nearby oil storage facilities. 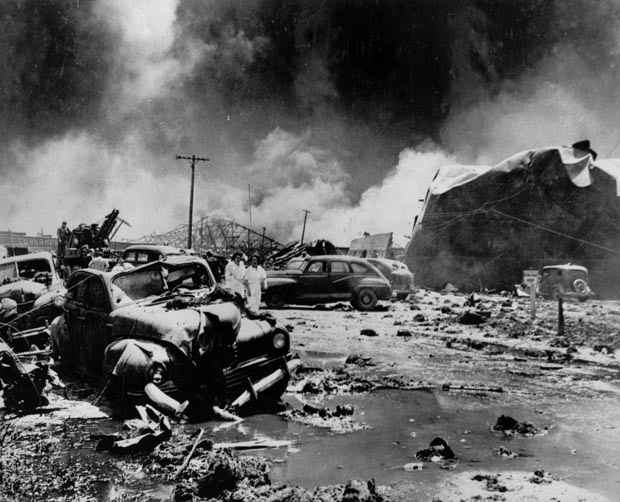 At least 581 people were killed and thousands more were seriously injured in the deadliest industrial disaster in U.S. history. As a result, changes in chemical manufacturing and new regulations for the bagging, handling, and shipping of chemicals were enacted. The American Federation of Teachers is founded in Chicago. In its first four years, the union chartered 174 locals. Today, the AFT has more than 3,000 local affiliates nationwide and more than 1.6 million members. 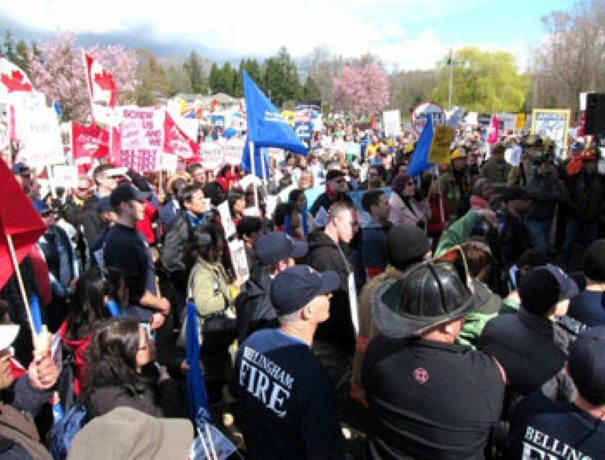 Canadian and American trade unionists rally at the international border between British Columbia and Washington to show their solidarity with public sector workers in Wisconsin facing attacks by that state’s government. The action was organized in conjunction with hundreds of other We Are One rallies that took place throughout North America.